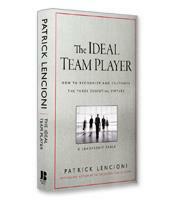 In The Ideal Team Player, Lencioni tells the story of Jeff Shanley, a leader desperate to save his uncle’s company by restoring its cultural commitment to teamwork. Jeff must crack the code on the virtues that real team players possess, and then build a culture of hiring and development around those virtues. 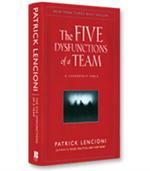 Beyond the fable, Lencioni presents a practical framework and actionable tools for identifying, hiring and developing ideal team players. Whether you’re a leader trying to create a culture around teamwork, a staffing professional looking to hire real team players or a team player wanting to improve yourself, this book will prove to be as useful as it is compelling. 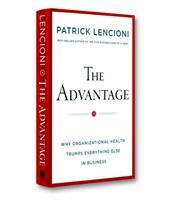 An entertaining story of how leaders discover and embrace the three virtues of the ideal team player. The distinct, surprising features of the three virtues and how to recognize those features. How people behave when they possess only one or two of the virtues. 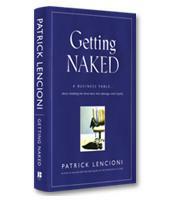 Principles and tips for hiring, assessing and developing people according to the three virtues. 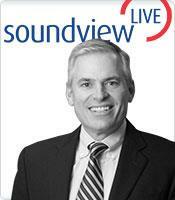 Tips for embedding the virtues in your organization.